Wildwood Shopping Center on Old Georgetown Road says Joe & The Juice, a Danish chain serving fresh juices, coffees, breakfast and sandwiches, will open this summer. Bethesda Bagels and Flower Child also are on the way. WASHINGTON — Balducci-anchored Wildwood Shopping Center in Bethesda, Maryland is getting more to eat, with the additions of Joe & The Juice, Bethesda Bagels and Flowerchild. Wildwood Shopping Center, at 10241 Old Georgetown Road, says Joe & The Juice, a Danish chain serving fresh juices, coffees, breakfast and sandwiches, will open this summer in a 1,900-square-foot space between Sanctuary Interior Design and Irresistibles. Joe & The Juice has other locations at Bethesda Row and at 1500 K St., NW in the District. “We can’t wait to open up a flagship location with our new expanded menu that includes omelets and other breakfast items in addition to freshly made juice, coffee and sandwiches,” said Joe & The Juice’s Valdemar Halbye. Joe & The Juice has more than 260 locations across North America, Europe, Asia and Australia. It also serves a vegan yogurt made with coconut. Wildwood owner Federal Realty Investment Trust has also announced Bethesda Bagels as a new tenant coming this summer, its fifth Washington area location. 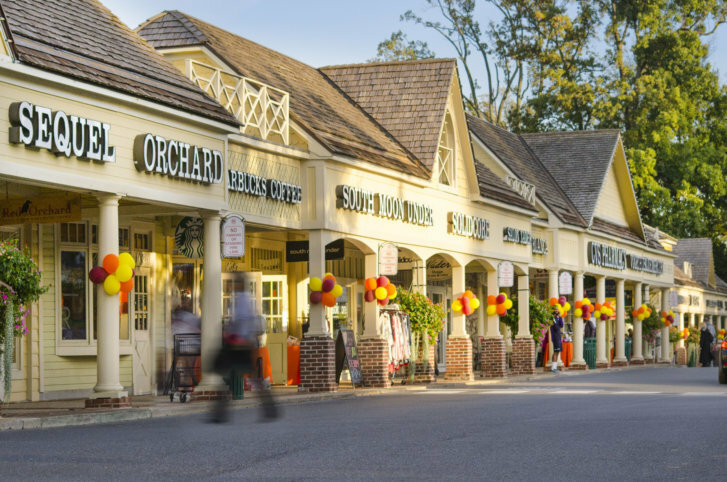 “Wildwood Shopping Center has been on our radar for years due to the proximity to schools, residents and businesses,” said Danny Fleishman, Bethesda Bagels president. Fast casual restaurant Flower Child — which has a menu that leans healthy with grain bowls, wraps, kombucha and organic wine and beer — will open at Wildwood this spring near Le Pain Quotidien. Flower Child’s menu caters to vegan, paleo and gluten-free diets. The eatery calls itself “Healthy Food for a Happy World.” It has a location in Rockville and another opening soon in Foggy Bottom in D.C. The additions are all part of a recent Wildwood expansion that has added a new common outdoor area and more retail space. Other tenants include South Moon Under, Bluemercury, CVS, Wildwood Kitchen by RW, Chop’t and Red Orchard.